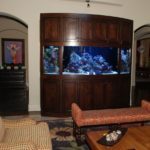 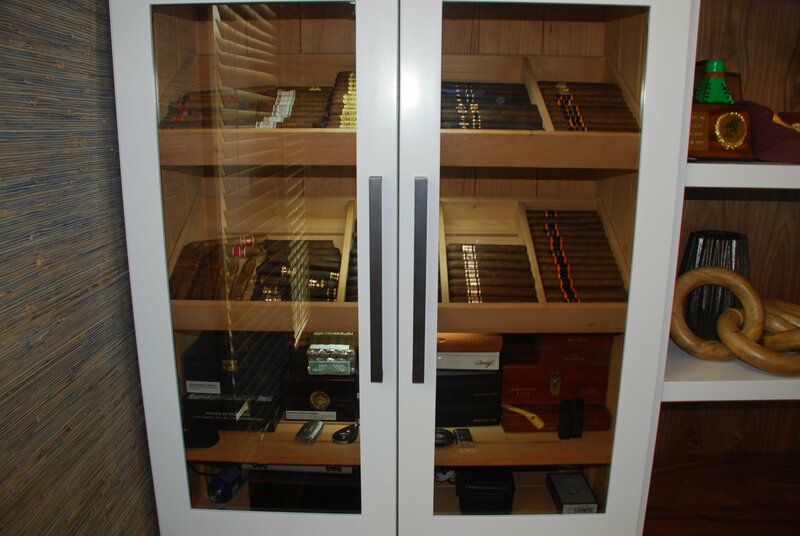 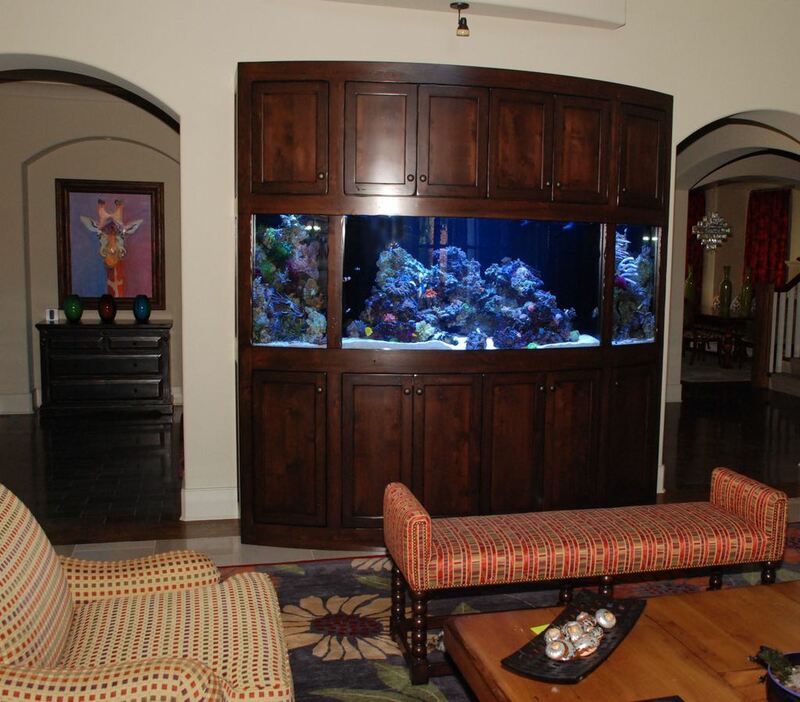 Aquarium stand that contains cabinet storage and space for all necessary equipment and maintenance supplies. 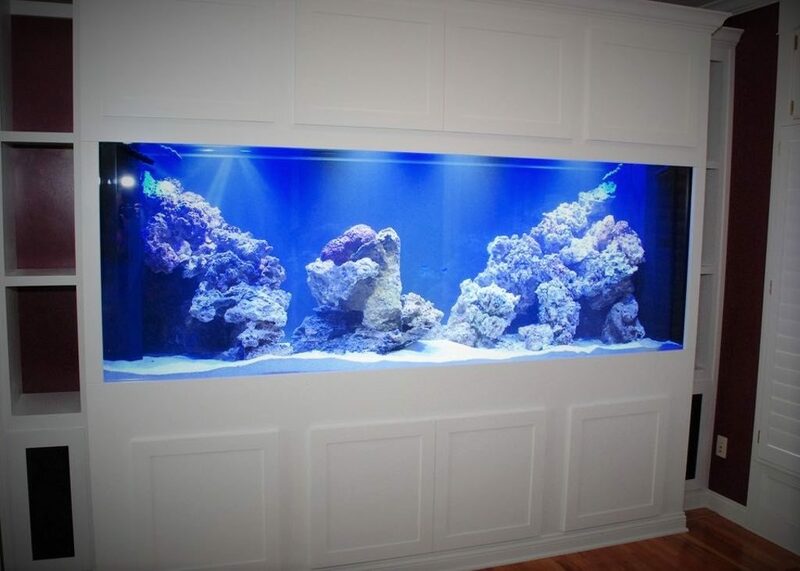 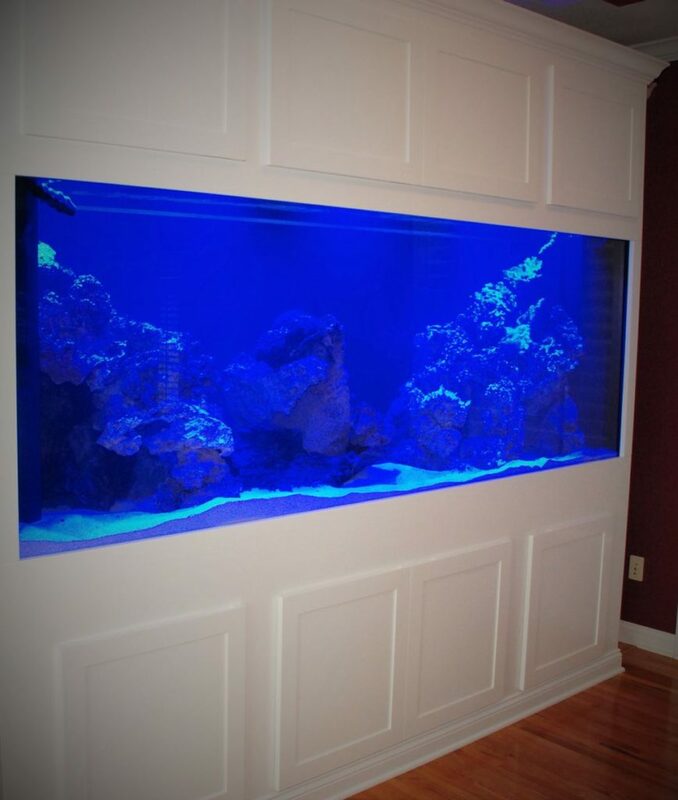 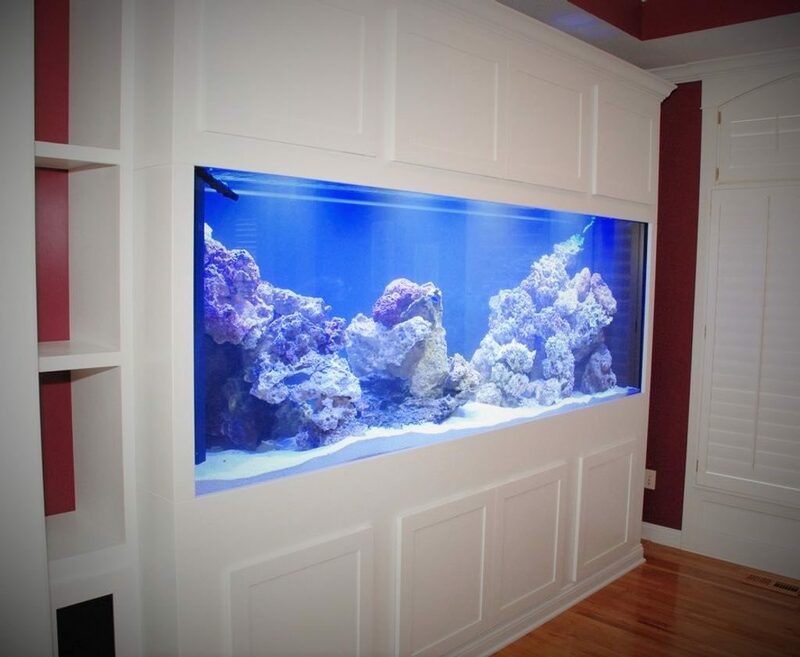 The white finish complements the aquarium interior design and shows purity and simplicity. 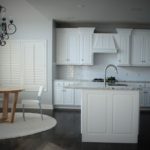 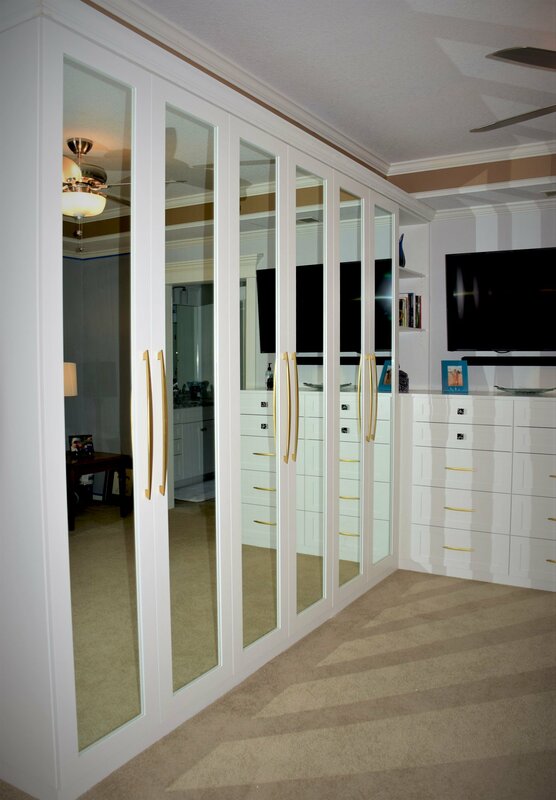 Clean lines of the transitional style construction add to this effect.